The high incidence of skin cancer in the USA is directly related to solar radiation exposure. There is also a disturbing increase in the incidence of both nonmelanoma and melanoma skin cancers in the USA. There is evidence that the use of sunblocks or sunscreens is not totally effective in preventing skin cancer. Therefore, there is a need for new mechanism-based approaches to prevent solar radiation-induced skin cancers. Ultraviolet (UV) light can initiate skin tumor development through DNA damage and critical mutations, for instance in the p53 tumor suppressor gene. 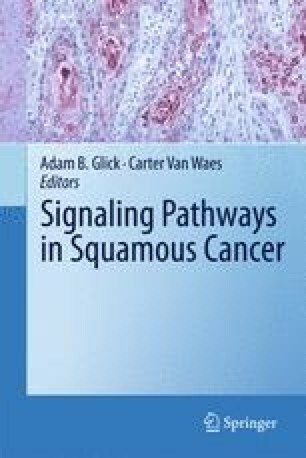 UV light can also promote the clonal expansion of these initiated cells through signal transduction pathways to give rise to benign tumors. Some of these signaling pathways mediate the downstream activation of the transcription factor complex, activator protein 1, which has been shown to play a functional role in UV induced skin carcinogenesis. Targeting of these signaling pathways using natural products and small molecule inhibitors is being explored for early chemoprevention of nonmelanoma skin cancer.